This summer, Synergy Academics is offering eight incredible summer work-shops. There is something for everyone with their College Essay Boot Camp for rising seniors, Summer Math Boost, Summer Reading Workshop, Organization/Study Skills & Test Taking Strategies, Driver’s Education Review, Google Docs & Typing, Arts & Crafts, and Intro to Stress Reduction and Mindfulness. Work-shop programs differ in length and are offered over the months of June, July, and August. Students can participate in multiple workshops to help feed their creativity and brain power and prepare them for their upcoming academic year. Visit the Synergy Academics website to view the full workshop schedule and then call the office for easy registration or to customize your workshop schedule. At Synergy Academics, help is on demand for your child, right when she or he requires it. Don’t let the summer months slip by without getting ahead for the next academic year. 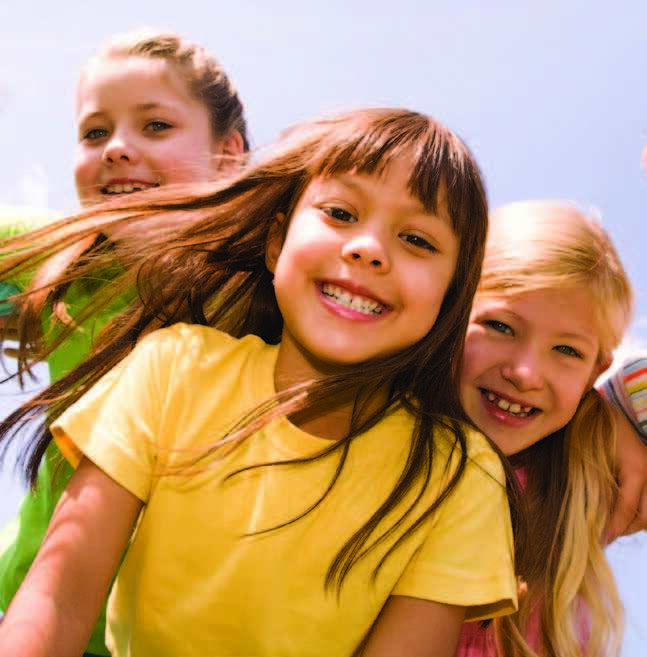 The Agoura Hills/Calabasas Community Center (AHCCC) has great summer camps and activity programs where kids can beat the heat in air-conditioned rooms. The AHCCC offers cool camp programs in theatre, art, music, dance, athletics, rock climbing, and more. Parents can work out in the upgraded fitness center with new cardio equipment while their kids are at camp. The AHCCC also offers a Premier Sports Camp led by Coach Dante all summer long in the indoor gym. Kids of all levels, ages 5 to 12, are welcome and will get tuckered out rock climbing and playing basketball, super soccer, baseball, Dynamite, Matt Ball, Dr. Dodgeball, and capture the flag. In addition to sports, kids can enjoy engineering and robotics pro-grams, Play-Well TEKnologies LEGO Superheroes, and STEM Challenge. Calabasas Country Club offers the perfect environment and plenty of options for young golf enthusiasts to learn the game. 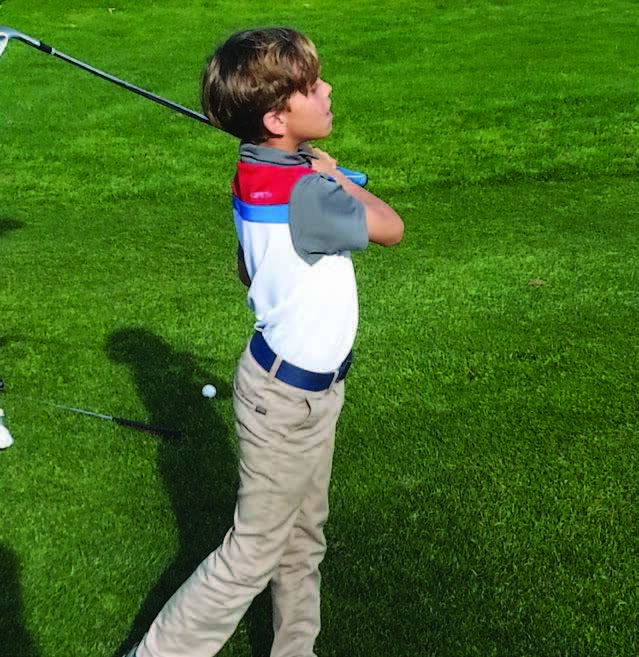 The Junior Golf Academy program is structured using the Operation 36™ Junior Development Framework, with a simple mission: to progress juniors towards shooting par or better and to play the game from a hole-out perspective. The Junior Golf Academy welcomes students ages 7 to 17, from beginners to college-bound competitive players. It’s also never too early for kids to start learning the game. The Club is now offering Golf for Tots for children ages 3 to 6. This new program focuses on tots learning putting, chipping and full swing with games every week. The club is offering eight one-hour sessions for $99, and young kids will have a blast. 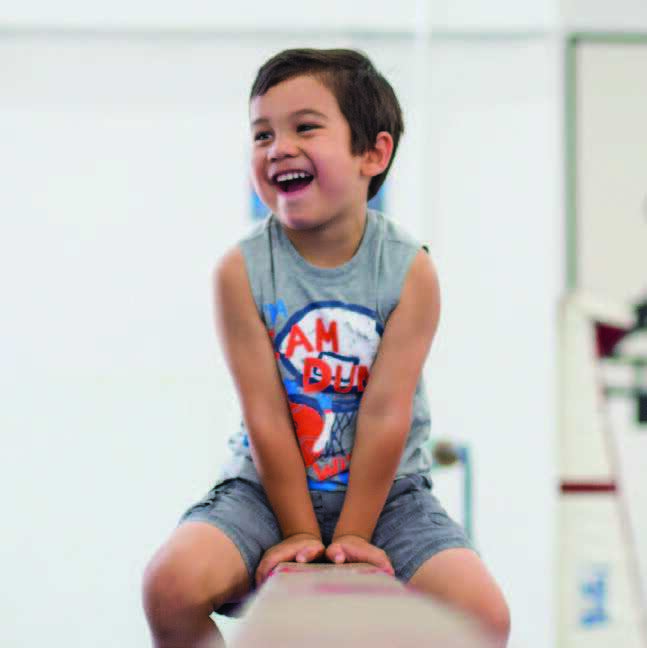 Monarchs is a full-service children’s gym center that inspires dynamic kids to grow their minds and bodies. Offering curriculum-based physical instruction for every-one ranging from children as young as 3-years-old to adults, programs are designed to cultivate an active life-style through kinder gym, girls’ and boys’ gymnastics, competitive gymnastics, tumbling, cheerleading, trampoline, “Flips and Tricks,” and parkour. Monarchs gym also provides non-curriculum-based programs geared towards fostering learning through fun. Offering camps year-round, Monarchs also has private birthday parties and Friday parent’s night out, complete with open gym, games, live DJ, pizza, and more. The newest development is Monarchs’ Happy Kidz Preschool that teaches math, reading readiness, transitional preschool skills, and sensory and social development skills. 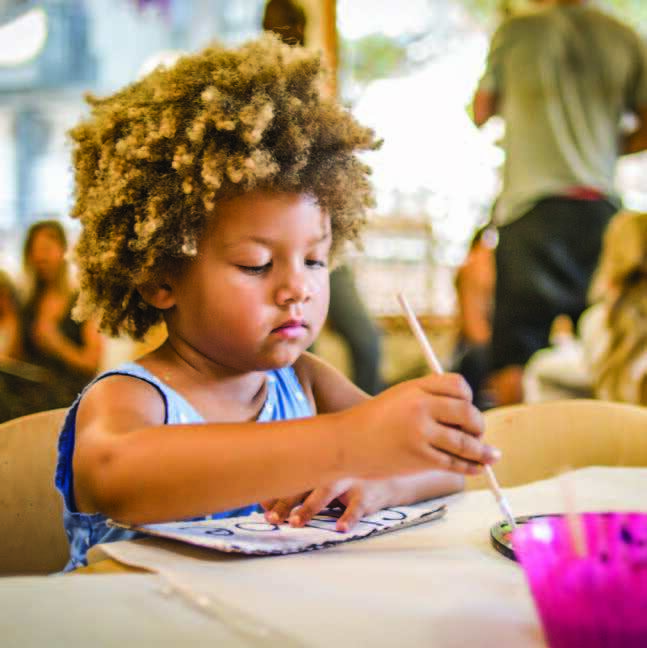 Montessori of Malibu Canyon is a Calabasas-based early childhood education center that offers daily full-day and half-day program options for children 2 to 6 years old. They offer a variety of programs, including a mommy and me, toddler and preschool program, and transitional kindergarten program, with extended AM and PM care at no additional charge. The beautiful campus includes an acre of flat, tree-shaded playground space and large, open classrooms outfitted with Montessori materials and lead-free furniture and paint to create a safe and nurturing environment. They offer a rich and diverse program that provides children with a solid foundation in math, language arts, with language labs in Spanish, French, and Farsi, geography, science, music, dance, fine arts, cooking, gardening, yoga, and more to make learning fun. The Boulevard School summer camp offers great summer fun for kids, with a variety of water play activities, such as sprinklers, hoses, water tables, wading pools, and group swim in the heated pool. Their popular piano, Tumblebees, cooking, and karate extracurricular classes are also offered during their summer camp. Each week the children explore a different theme with activities such as singing, music, drama, arts and crafts, puppetry, and more! The Boulevard School also has music festivals, spirit days, carnival day, circus day, and other great surprises for your little ones. Toddlers, along with 2 and 3 year olds, can attend half or full day, while four year olds attend full days only. MUSE School is a special place – progressive, dynamic, and entirely focused on engaged and personalized learning. Their challenging curriculum is grounded in core academics and milestones specific to each grade lev-el and includes student passions – subjects they identify and love – throughout the academic year. They call this “passion-based learning.” All of this takes place on their two green campuses in Malibu Canyon. All that they do at MUSE – in the classroom, during meals, at play – reflects their desire to protect and care for the earth. This summer, MUSE is hosting their Early Child-hood Summer Camp. This summer camp is for rising students between ages 2.5 to 5.5 years of age. The summer camp will include their own certified ECE teachers, who also teach in their classrooms throughout the year. Early Childhood Summer Camp will be taking place June 26 to July 28 from 9:00 a.m. to 1:00 p.m. It will be closed Tuesday, July 4. For additional information and registration, visit their website at museschool.org. 1666 Las Virgenes Cyn. Rd. 4345 Las Virgenes Cyn. Rd. 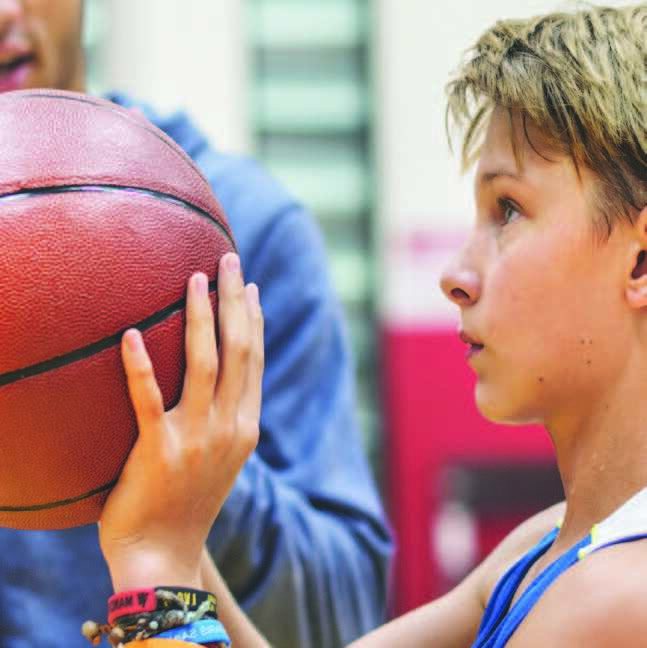 Oaks Christian School (OCS) is proud to offer a variety of summer sports camps for boys and girls ages 5 to 14 and of all skill levels. 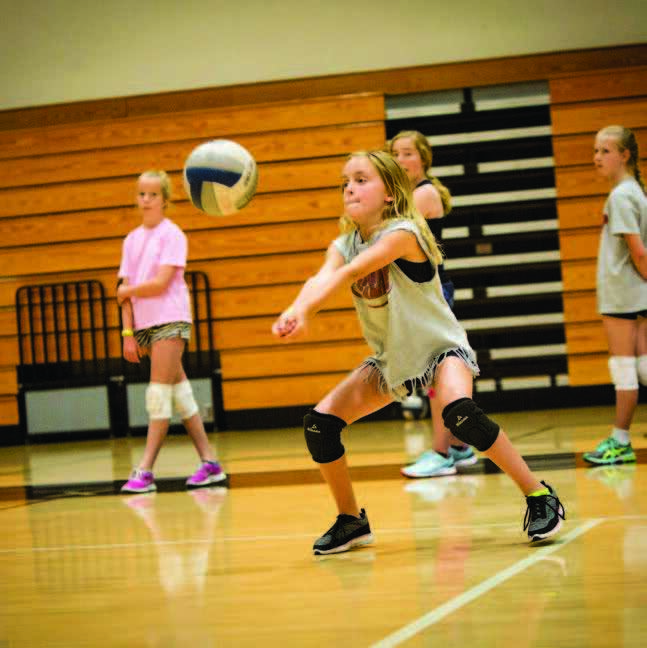 Campers develop their skills while furthering their enjoyment and interest in their sport of choice. Some of the sports offered include baseball, basketball, soccer, lacrosse, football, volleyball, tennis, and aquatics. All camps are located on the OCS campus. Most go from 9:00 a.m. to 2:00 p.m., including lunch in the Collins Cafe and swimming in the OCS pool. With a wide variety of sports camps being offered, there is sure to be some-thing for everyone. Enter discount code CALABASASSTYLE for $25 off each camp registration. Please visit oakssportscamps.com for more information and to register. Team G seeks talented athletes and tennis players from all backgrounds who have the passion and desire to achieve national recognition. They are given the support and skills needed to achieve their dreams. Coach Gerald Mathews has established a system of training that equips athletes with the skill set to move and perform at an elite level. 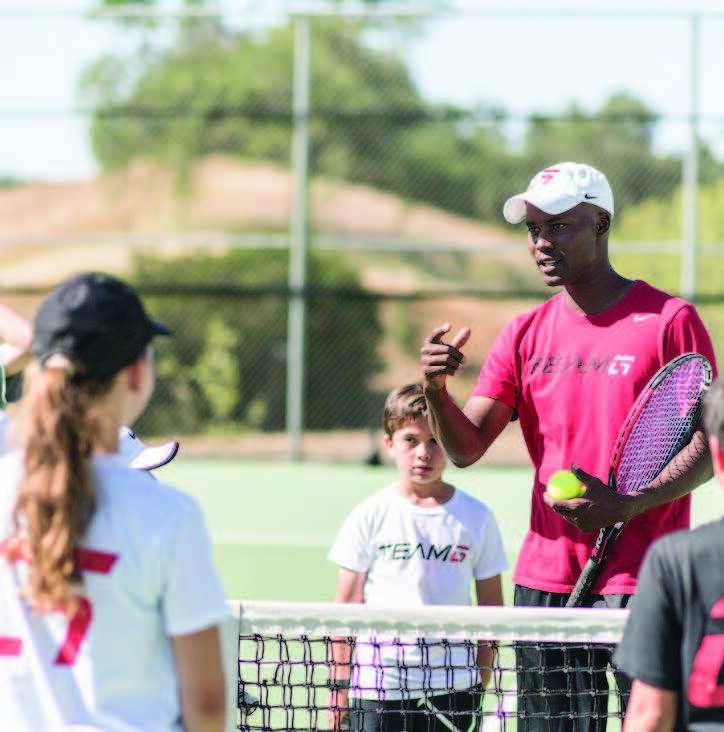 Going on its ninth summer, Team G Tennis Camp creates players that achieve consistently at the top levels in the sport through movement training and tennis fundamentals. Team G students go on to achieve the top-level ranks and the notoriety needed to be recognized by top colleges and compete professionally. As a starting point for these great players, Team G hopes to expand the opportunities and visions of the tennis world by making the sport accessible to a diverse group of athletes of different proficiency levels.